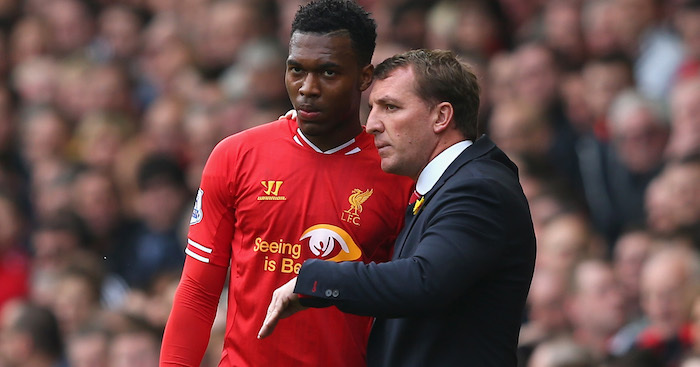 Brendan Rodgers has told Daniel Sturridge to come and recapture his form and love of the game with him at Leicester City. Sturridge is out-of-contract this summer, but at 29 – he still feels he can do it at the highest level and could yet win his place back in the England squad. A number of clubs have shown an interest including West Ham, Newcastle and Everton – who are willing to offer him a switch across Stanley Park – whilst there is also clubs across Europe and also in China and America, who have made touch with his representatives. But Rodgers hopes the chance to play under him again would tempt Sturridge into making the move to the King Power, and the fact he is a free transfer also means it would not impact on his summer budget. The Birmingham-born forward has scored 68 goals and added 26 assists for Liverpool in 157 appearances in all competitions.